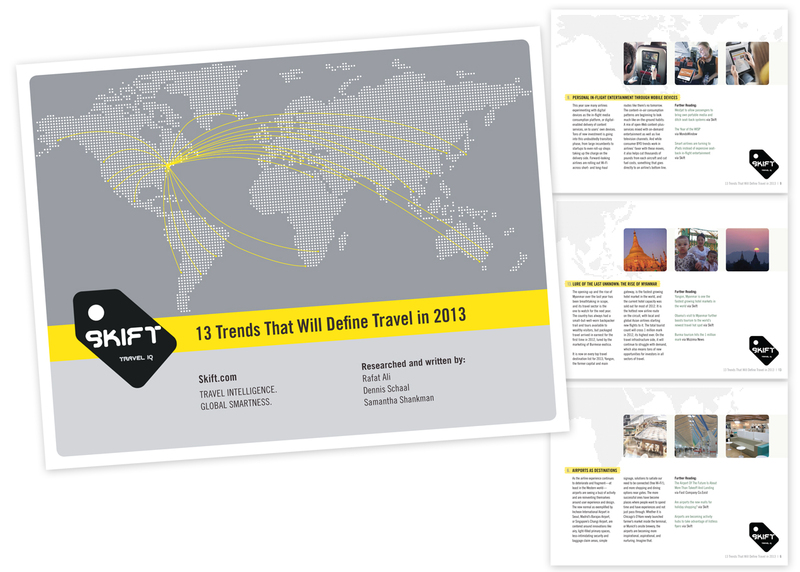 Full-color interactive pdf trend report for the first anniversary of travel business news startup, skift.com. Designed to increase reader loyalty, this report was released at the start of 2013 as a collection of clear, concise trend articles with immediate click-through resources. download the full report here.